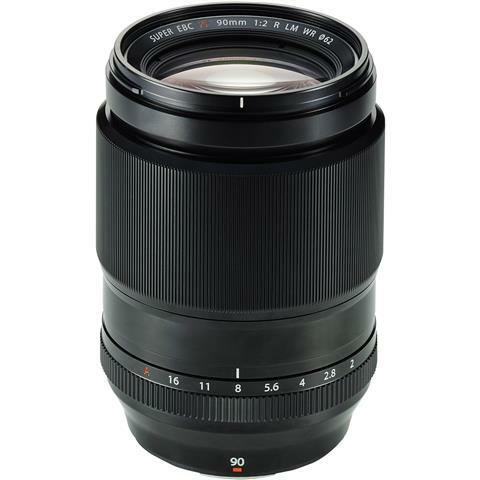 The FUJINON XF90mmF2 R LM WR is a fast-aperture prime lens with a focal length equivalent to 137mm* and a maximum aperture of F2.0, that delivers ultra-sharp images with rich bokeh even at the maximum aperture setting. The optical construction of 11 elements in 8 groups (including three ED glass elements) minimizes vignetting and creates beautiful bokeh thanks to the rounded diaphragm, which makes it perfect for portraiture as well as other applications. The lens weighs approx 540g, and is compact too, with a filter thread measuring just 62mm. The combined weight with the XF56mm F1.2 R is less than 1kg - great news for portrait photographers who want to travel light and still shoot with prime lenses for sharp images and strong bokeh.